Information technology is a service and concept that is constantly in a state of re-invention. New solutions and services are revealed every day to improve how businesses leverage technology. 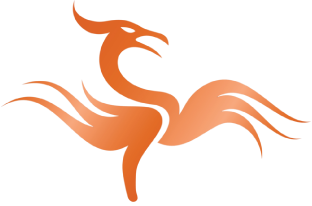 If you are looking for an IT company to rescue your business from bad technology, turn to Phoenix Computing Strategies in Gambrills, MD. We provide excellent business solutions you can rely on. Our company keeps up with the changing world of tech and is willing to re-invent time and again to better suit your needs. Drowning in a sea of technical problems? This isn’t Gilligan’s Island. We’ll rescue you! Here at Phoenix Computing Strategies, we know just how to help your business increase security and function through IT solutions. We are committed to serve you from start to finish. Tell us what you need and we will be there to help you achieve the best service for your trade. You can rely on us to provide the outstanding results you require. You have to leverage every possible advantage in order to stay competitive – keeping your productivity high and your costs low. When you need professional tech support, turn to Phoenix Computing Strategies. We have what it takes to make your business processes a lot easier and convenient for you and your customers. Call us today to learn how.